- Direct Instruction Follow Through Program (Becker, 1977). The results of these studies are consistently positive and indicate that there are specific instructional procedures which teachers can be trained to follow and which can lead to increased achievement and student engagement in their class­rooms. An example of these experimental studies is the one conducted by Good and Grouws in 1979. In their study, 40 fourth grade teachers were divided into two groups. One group, of 21 teachers, received a 5-page manual which contained a system of sequential, instructional steps for teaching mathematics. The teachers read the manual, received two 90 minute training sessions, and proceeded to implement the key instructional behaviors in their teaching of mathematics. The control teachers did not receive the manual and were told to continue to instruct in their own style. During the 4 months of the program all teachers were observed six times. The results showed that the teachers in the treatment group implemented many of the key instructional behaviors and, in many areas, behaved significantly differently from those in the control group. For example, the treatment teachers conducted review, checked homework, actively engaged students in seatwork, and made homework assignments significantly more often than control teachers. The results also showed that the test scores in mathematics for students of the treatment teachers increased significantly more than did the scores for students of the control teachers. Fitzpatrick (1982) conducted a similar study involving ninth grade algebra and foreign language classes. Twenty teachers were divided into two groups, and the treatment group received a manual explaining and giving teaching suggestions on 13 instructional principles. The treatment group met twice to discuss the manual. The control teachers were told to continue their regular teaching. All teachers were observed live times in one of their classrooms. The results showed that the treatment teachers implemented many of the principles more frequently than did the control teachers. For instance, the treatment teachers were rated higher in attending to inappropriate student behavior, maintaining the attention of all students, providing immediate feedback and evaluation, having fewer interruptions, setting clear expecta­tions, and having a warm and supportive environment. In addition, overall student engagement was higher in the class­rooms of the treatment teachers. The other studies cited above were similar to these two: they all provided in-service teachers with manuals and training to implement the recommended instructional procedures. The manuals and training materials for these programs could be used effectively in both preservice and in-service teacher train­ing. Four of the manuals are useful for general instruction (Emmer et al., 1982; Evertson et al., 1982; Fitzpatrick, 1982; Good & Grouws, 1979). The manual by Anderson, Evertson, and Brophy (1982) is oriented primarily toward instruction in elementary reading groups, whereas the program developed by Reid (1978-1981) and by Engelmann (Becker, 1977) included both general instructional methods and highly specific proce­dures for the teaching of reading. The purpose of this paper is to study those successful teacher training and student achievement programs and identify the common teaching functions which they emphasize. This infor­mation will be supplemented by correlational research when­ever relevant. - Begin a lesson with a short review of previous, prerequisite learning. - Begin a lesson with a short statement of goals. - Present new material in small steps, with student practice after each step. - Give clear and detailed instructions and explanations. - Provide a high level of active practice for all students. - Ask a large number of questions, check for student under­standing, and obtain responses from all students. - Guide students during initial practice. - Provide systematic feedback and corrections. - Provide explicit instruction and practice for seatwork exer­cises and, where necessary, monitor students during seatwork. The major components in systematic teaching include teach­ing in small steps with student practice after each step, guiding students during initial practice, and providing all students with a high level of successful practice. Of course, all teachers use some of these behaviors some of the time, but the most effective teachers use most of them almost all the time. It would be a mistake to claim that the teaching procedures which have emerged from this research apply to all subjects, and all learners, all the time. Rather, these procedures are most applicable for the “well-structured” (Simon, 1973) parts of any content area, and are least applicable to the “ill-structured” parts of any content area. These explicit teaching procedures are most applicable in those areas where the objective is to master a body of knowledge or learn a skill which can be taught in a step-by-step manner. Thus, these procedures apply to the teaching of facts that students are expected to master so that they can be used with new information in the future. Examples include arithmetic facts, decoding procedures, vocabulary, musical notation, Eng­lish grammar, the factual parts of science and history, the vocabulary and grammar of foreign languages, and the factual and explicit parts of electronics, cooking, and accounting. Similarly, these procedures apply to the teaching of processes or skills that students are expected to apply to new problems or situations. This includes mathematical computation, blending sounds in decoding, map reading, the mechanics of writing personal and business letters, English grammar, applying scien­tific laws, solving algebraic equations, or tuning an automobile engine. In these cases, the student is taught a general rule which is then applied to new situations. These findings are least applicable for teaching in areas which are “ill-structured”, that is, where the skills to be taught do not follow explicit steps, or areas which lack a general skill which is applied repeatedly. Thus, the results of this research are less relevant for teaching composition and writing of term papers, analysis of literature, problem solving in specific content areas, discussion of social issues, or the development of unique or creative responses. Almost all content areas are composed of well-structured and ill-structured parts, and explicit teaching can be used for teaching the well-structured parts. For example, when teaching a foreign language, explicit teaching can be used to teach vocabulary and grammar, but these procedures are less relevant for teaching fluency in conversation or reading comprehension. In teaching literature, there is a place for explicit teaching in teaching about the characters, setting, plot, and theme identifi­cation. But these procedures are less relevant for teaching students to appreciate the story, evaluate the ideas, or critique the style of writing. As noted, explicit procedures are less applicable for those skills or processes where there is no clearly defined procedure that is learned and applied in new situations. Until the 1980s, this was the case in teaching reading comprehension. Durkin (1978-1979) noted that there is little explicit instruction when teaching reading comprehension. Rather, she noted that teachers spend most of their time asking questions, and spend very little lime giving explicit or direct instructions in helping students understand the meaning of a paragraph or story. Indeed, she observed 24 fourth grade reading teachers for 5,000 minutes, and found that explicit comprehension instruction occurred less than 1% of the time. Durkin (1981) also inspected elementary reading textbooks and found a similar lack of explicit instruction. Since 1975, investigators have developed explicit, direct procedures which have been shown to aid students in reading comprehension and study skills. In reading comprehension, these studies have involved training students in generative activities during reading (Carnine, Kuder, Salvino, & Moore, 1983; Linden & Wittrock, 1981) and teaching students strate­gies for comprehension skills (Carnine et al., 1983; Day, 1980; Patchings, Kameenui, Colvin & Carnine, 1979; Raphael, 1980; Singer & Donlon, 1982). Each of these studies yielded signifi­cant effects in improved reading comprehension. Similarly, studies which train students in skills for studying texts (Dansereau, 1979; Larkin & Reif, 1976) have yielded significant results. For Whom is This Approach Most Relevant? The small-step approach which emerges from the research is particularly useful when teaching younger students, slower students, and students of all ages and abilities during the first stages of instruction with unfamiliar material (Berliner, 1982). Similarly, these ideas best apply when learning hierarchical material because subsequent learning builds upon well-formed prior learning. These ideas would also apply when the material is difficult, no matter how talented the learners. In general, the amount of time spent in presentation, guided practice, and independent practice varies with the age and maturity of the students and the difficulty of the material. With younger students and/or difficult material, the presentation is fairly short and more time is spent in guided practice and supervised independent practice. With older, more mature, and faster students, and as the material becomes more familiar, more time is spent in presenting new material and less time is spent in guided practice. No single, common term to describe this teaching has emerged as yet. Rather, a variety of terms are being used including direct instruction, systematic leaching, explicit in­struction, active teaching, and effective teaching. All of these terms are useful for describing the systematic, explicit, direct procedures which will be discussed in this chapter. Another approach to understanding classroom teaching is to look at the recent research on human information processing. There is good correspondence between the results of this research and the research on effective teaching. The information processing results apply in three areas: the limits of our working memory, the importance of elaboration and practice, and the importance of continuing practice until the students are fluent. When teachers present new information, they should be concerned with not presenting too much information at one time. Current information-processing theories suggest that we are “limited-capacity processors”. That is, there are limits to the amount of information learners can attend to and process effectively (Beck, 1978; Miller, 1956). When too much informa­tion is presented at once, our working memory becomes swamped (James, 1890; Norman & Brokow, 1975). When this happens, we become confused, omit or skim material, and are unable to complete the processing correctly (Tobias, 1982). This suggests that when teaching new or difficult material, a teacher should proceed in small steps and provide practice on one step before adding another. In this way, the learner does not have to process too much at one time and can concentrate his/her somewhat limited attention to processing manageable size pieces of information or skills. In addition, a teacher can help students by reviewing relevant prior knowledge. Such review may provide the student with a cognitive structure for encoding the new material and thus require less processing resources than if the information were totally new (Spiro, 1981). Teachers provide this support by previewing lessons, telling students what they are going to learn; by relating the new information to what students have previously learned; and by providing organizers and outlines for the lesson. A second finding is that we have to process new material in order to transfer it from our working memory to our long-term memory. That is, we have to elaborate, review, rehearse, summarize, or enhance the material (see Gagne, 1985). This suggests that a teacher should provide active practice for all students. This practice is facilitated if the teacher guides the necessary processing by asking questions, requiring students to summarize ideas in their own words, helping students make connections between old and new knowledge, having students tutor each other, supervising students as they practice new steps in a skill, and providing feedback on their efforts. A third point is that new learning is easier when prior learning is readily accessible or automatic. In a large number of academic situations the student needs to apply and use the knowledge or skills that have been previously learned. Reten­tion and application of previously learned knowledge and skills comes through overlearning, that is, practice beyond the point where the student has to work to give the correct response. This results in automatic processes which are rapidly executed and require little or no conscious attention. When prior learning is automatic, space is freed in our working memory, which can then be used for comprehension, application, and problem solving (LaBerge & Samuels, 1974; Spiro, 1981; Wagner & Sternberg, 1984). Reading is a good example of the importance of automatic recall. Readers who do not decode automatically need to allocate much of their limited capacity to decoding and word identification, and as a result, they have little capacity left for comprehending what is read (LaBerge & Samuels, 1974; Perfetti & Lesgold, 1979). However, when learners are fluent in word recognition, they can then devote more processing capa­city to comprehending the passage. Similarly, Greeno (1978) noted that mathematical problem solving is improved when the basic skills (addition, multiplication, etc.) are overlearned and become automatic, thus freeing processing capacity. The benefits of overlearning suggest that there is value in repeating and rehearsing basic material that will be used in subsequent learning. In most fields, such basic material can include facts, concepts, skills and procedures, and specialized vocabulary. We might summarize the above by saying that when learning new material it is important for the teacher to provide “instruc­tional support” for the learner (Tobias, 1982). When providing such support, a teacher would (a) break the material into small steps in order to reduce confusion, (b) give the learner practice in each step before increasing complexity by adding another step, (c) provide for elaboration and enhancement in order to help the learner move the material from working memory into long term memory, and (d) provide for additional practice and overlearning of basic material and skills so that the learners are fluent and automatic in using them. The research on information processing helps explain why students taught with structured curricula generally do better than those taught with either more individualized or discovery learning approaches. It also explains why young students who receive their instruction from a teacher usually achieve more than those who are expected to learn new material and skills on their own or from each other. When young students are expected to learn on their own, particularly in the early stages, the students run the danger of not attending to the right cues, or not processing important points, and of proceeding on to later points before they have done sufficient elaboration and prac­tice. Putting together ideas from a number of sources (including those mentioned on page 1), we have developed a list of six fundamental instructional “functions” which appear below and, in more detail, in Table 13.1. 6. Weekly and monthly reviews. A primary source for this list was the "key instructional behaviors" developed by Good and Grouws (1979) as part of their experimental study in fourth grade mathematics. Many of these functions appeared earlier as the elements of the “Lesson Design” developed by Hunter (Hunter & Russell, 1981), and Hunter derived her list from the “components of instruction” developed by Gagne (1970, p. 304). Interestingly, a series of steps titled “How to Instruct” developed during World War II (War Manpower Commission, 1945) is very similar to the work of Gagne, Hunter, and Good and Grouws. This is not a hard and fast list. 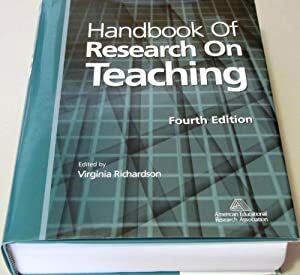 Rather, it is possible to enlarge, contract, and revise it; but if is intended to serve as a model, and as a basis of discussion about the nature of effective teaching. Quick, firm, and correct responses can be followed by another question or a short acknowledgment of correctness (i.e., “That's right”). Hesitant correct answers might be followed by process feedback (i.e., “Yes, Linda, that's right because...”). Student errors indicate a need for more practice. Monitor students for systematic errors. Try to obtain a substantive response to each question. Corrections can include sustaining feedback (i.e., simplifying the question, giving clues), explaining or reviewing steps, giving process feedback, or reteaching the last steps. Try to elicit an improved response when the first one is incorrect. Guided practice and corrections continue until the teacher feels that the group can meet the objectives of the lesson. Praise should be used in moderation, and specific praise is more effective than general praise. Note: With older, more mature learners, or learners with more knowledge of the subject, the following adjustments can be made: (1) the size of the step in presentation can be larger (more material is presented at one time), (2) there is less time spent on teacher-guided practice and (3) the amount of overt practice can be decreased, replacing it with covert rehearsal, restating and reviewing. There is some difference in the amount of time teachers spend on these functions in the upper and lower grades. In the lower grades the amount of material presented at any one time is smaller, more time is spent in guided student practice (through teacher questions and student answers), and more of the practice is overt. In the higher grades, the time spent in presentation becomes longer, and more material is presented at one time. In the higher grades the amount of overt practice is decreased and replaced with covert rehearsal, restating, and reviewing. Although all classrooms have these components, they are not always carried out effectively. All classrooms have demonstra­tions, but frequently they are too short, there are too few examples, and the examples are imprecise or unclear. All classrooms have guided practice, but often it is infrequent or too brief, there are loo few questions and examples, and too little checking for student understanding. All teachers also correct student errors, but frequently the corrections are uninformative, consisting of only a single word or sentence; reteaching in small steps occurs seldom; and there is insufficient systematic guided practice to ensure error-free performance. All classrooms have independent practice, too, but frequently too great a proportion of classroom time is allocated to indepen­dent practice, especially without immediate feedback, and stu­dents are expected to learn too much from worksheets. Frequently the teacher does not circulate to help students during independent practice and does not reteach when necess­ary. All classrooms have review, but frequently there is insuffi­cient reteaching of material missed during review, and the review and practice does not continue until student responses are rapid and firm. Many of these specific teaching skills can be taught fairly easily to experienced teachers. In numerous experimental stud­ies (Anderson et al., 1979; Becker, 1977; Emmer et al., 1982; Evertson et al., 1981; Good & Grouws, 1979) where one group of teachers received training in these techniques and another group did not, investigators found that (a) the trained teachers used more of these skills in their classrooms and (b) the students of the trained teachers had higher achievement scores and/or engagement rates. For example, Good and Grouws (1979) found that the trained teachers reviewed and assigned homework more frequently than did the untrained teachers: Emmer et al. (1981) found that the trained teachers were rated higher in describing objectives clearly, giving clear directions, and giving clear explanations. Three of these functions form the instructional core: demonstra­tion, guided practice, and independent practice. The first step is the demonstration of what is to be learned. This is followed by guided student practice in which the teacher leads the students in practice, provides prompts, checks for understanding, and provides corrections and repetition. When students are firm in their initial learning, the teacher moves them to independent practice where the students work with less guidance. The objective of the independent practice is to provide sufficient practice so that students achieve overlearning (Brophy, 1982) and demonstrate quickness and competence. A simple version of this core is used frequently in the elementary grades when a teacher says: “I'll say it first, then you'll say it with me, and then you'll say it by yourself”. How would one teach two-digit multiplication (54 x 7) using these steps? The first step would be teacher demonstration of the steps followed in solving these types of problems. As part of the demonstration the teacher would model the use of the steps by doing problems on a chalkboard (or an overhead). This is followed by guided practice in which the students work two, three or more problems and the students are guided through the rules with teacher prompts. The teacher circulates and checks for student understanding as they do the problems. As the students become more proficient, the prompts are dimin­ished. The frequency of student errors during guided practice gives the teacher an indication of whether any students need reteaching on the material. When a student or subset of students make frequent errors, the teacher would review or reteach the skill or process for those students or the entire class. When the students are firm in the guided practice, and are making few errors, they are moved to independent practice where they practice learning how to do the skill accurately and rapidly. Sometimes the teacher may alternate quickly from brief demonstrations to guided practice, and back, making the two steps seem as one. For example, when teaching a word list a teacher could demonstrate how to pronounce the first word, then conduct guided practice, and continue this mixture of demonstration and practice. An integration of demonstration and guided practice allows one to present information in small steps, particularly when the information involves discrete pieces or steps. This would be followed either by guided practice on all of the new skills (e.g., class reads all the words on the word list) or independent practice on the new skills (e.g., students read the word list to the person next to them). When this type of instruction is done well, it is an exciting thing to watch. It is exciting to watch the class or group move at a rapid pace and to watch all the students giving the correct response rapidly and confidently. When this instruction is done well, the demonstration part moves in small steps accompanied by checking Tor understanding. The guided practice continues until all the students are responding firmly. (There is a great difference between this firmness and the usual situation in which only half or three-fourths of the students are responding confidently.) Watching all the students learning new material and responding confidently can be quite exciting. Across a number of studies and personal reports (Rosenshine & Stevens, 1984) there is no evidence, at this time, that systematic instruction is taught in an overbearing manner or that student attitudes toward school or self are affected adver­sely. Rather, such classrooms have reasonable teacher warmth and lead to reasonably positive student attitudes. These studies indicate that decent, humane, genuine interactions occur in many classrooms which are highly structured and teacher-directed. The image of the formal classroom as humorless, cold, and regimented was not found to be true. Today, teachers in formal classrooms are warm, concerned, flexible, and allow freedom of movement. But they are also task oriented and determined that children shall learn. Let us turn, now, to a review of research in each of the six functions. There are two purposes for beginning a lesson with a short review: it provides additional practice and overlearning for previously learned material, and it allows the teacher to provide corrections and reteaching in areas where students are having difficulty. Checking of homework is one form of review. - Ask questions about concepts or skills taught in the previ­ous lesson. - Give a short quiz at the beginning of class on material from previous lessons or homework assignment. - Have students correct each other's homework papers or quizzes. - Have students meet in small groups (2 to 4 students per group) to review homework. - Have students prepare questions about previous lessons or homework and ask them to each other or have the teacher ask them to the class. - Have students prepare a written summary of the previous lesson. - Have students ask the teacher about problems on home­work and the teacher reviews, reteaches or provides addi­tional practice. The idea of beginning a lesson by checking the previous day's assignment appears in the experimental study of Good and Grouws (1979) and is found again in the work of Emmer et al. (1982). Each of these programs was designed for grades four to eight. In the primary grades, such explicit checking and reteach­ing is part of the Distar program (Becker, 1977) and the ECRI program (Reid, 1978). In the Distar reading program, there is daily review or new sounds and new words. In the ECRI program the teacher-led lesson always contains choral reviews of the vocabulary words from previous and future stories. One would have thought that daily reviews and checking of homework were common practice. Yet, in the Missouri Math program (Good & Grouws, 1979), where daily review was included in the training manual given to the treatment teachers, they conducted review and checked homework 80 percent of the time, but the control teachers did so only 50 percent of the time. Thus, a daily review is a teaching function that could be done more frequently in most classrooms. All teachers, of course, demonstrate new skills and materials. But recent research in grades four to eight has shown that effective teachers of mathematics spend more time in demon­stration than do less effective teachers (Evertson et al., 1980b; Good & Grouws, 1979; Stallings, Needles, & Stayrook, 1979). The most effective mathematics teachers spent about 23 min­utes per day in lecture, demonstration and discussion, whereas the least effective teachers spent only 11 minutes (Evertson et al., 1980b). Good, Grouws, and Ebmeier (1983) reviewed four class­room-based experimental studies in mathematics which varied the amount of time spent on teacher-led development (develop­ment includes both presentation and teacher-guided practice) and the amount of time devoted to independent student prac­tice. Although the results were not significant in all cases, there were a number of significant results and a consistent trend favoring spending at least 50 percent of the time on demonstra­tion and guided practice. When additional time is spent on demonstration and guided practice the teachers provide redundant explanations, give many examples and provide sufficient instruction so that the students can do the seatwork with minimal difficulty. These teachers also check the students' understanding of the presenta­tion by asking questions (guided practice). When students make frequent errors, it is a sign of an inadequate presentation and reteaching is necessary. What does one do in an effective demonstration? Summariz­ing ideas from the research review of Brophy (1980), the experimental study by Emmer et al., (1982) and the studies on teacher clarity by Kennedy, Bush, Cruickshank and Haefele, (1978) and Lard and Smith (1979), we developed the sugges­tions listed in Table 13.2. These are grouped under four headings: clarity of goals and main points; step-by-step presen­tations; specific and concrete procedures; and checking for understanding. a. State the goals or objectives of the presentation. b. Focus on one thought (point, direction) at a time. d. Avoid ambiguous phrases and pronouns. a. Present the material in small steps. b. Organize and present the material so that one point is mastered before the next point is given. c. Give explicit, step-by-step directions (when possible). d. Present an outline when the material is complex. a. Model the skill or process (when appropriate). b. Give detailed and redundant explanations for difficult points. c. Provide students with concrete and varied examples. a. Be sure that students understand one point before proceeding to the next point. b. Ask the students questions to monitor their comprehension of what has been presented. c. Have students summarize the main points in their own words. d. Reteach the parts of the presentation that the students have difficulty comprehending, either by further teacher explanation or by students tutoring other students. Beyond these general suggestions for improving teachers' techniques during the presentation of new material a number of questions remain. For example: How does one organize new material so that it can be learned most effectively? What are the characteristics of an effective demonstration? How many exam­ples, and what kind, should teachers use? Is there a most effective way for sequencing examples? How much information should be presented at one time (i.e., how small or large should the instructional steps be)? At present there is little conclusive research on these questions, and determining the answers to them represents the next step in research on the function of presenting new material. The quality and design of the instructional materials used can have an impact on the effectiveness of the presentation phase of teaching. Research on instructional materials is cur­rently proceeding in two general areas, task analysis and instructional design (Resnick, 1976). Perhaps some of the questions presented above will be answered by this research (e.g., how many; what kind; and what sequence of examples). However, while there are presently many models for instruc­tional design, these models vary, and a general model of effective instructional design has not yet been developed. Although demonstration is a major part of instruction in areas such as mathematics, English grammar, science, and foreign language, there are some areas where, unfortunately, demonstration is used infrequently. As noted earlier, it is seldom used when teaching reading comprehension or higher-level cognitive thinking. Durkin (1978-1979) noted that there is seldom a demonstration phase in reading comprehension. As discussed previously, recent research has begun to define and explicate specific comprehension skills. Thus, current research is attempting to provide teachers with demonstration proce­dures in comprehension skills. Similarly, although teachers are exhorted to ask higher-level cognitive questions (i.e., questions which require application, analysis, and synthesis), they seldom demonstrate how to answer such questions (nor are they taught how to provide this demonstration). Again, this may be due, at least in part, to the fact that we are only beginning to understand the cognitive processes that underlie these skills (particularly in the area of reading comprehension). Until recently, then, teachers have been limited to teaching these complicated skills without know­ing how to provide explicit demonstrations. In summary, it is important for teachers to state the goals of the lesson, provide students with explicit, step-by-step demon­strations of the new material, use many examples, and check to see that all the students understand the material before pro­ceeding to the next point. In one form of guided practice, the teacher asks questions and initially provides prompts or guides the students in responding, and gives them feedback and corrective help when (hey make errors. The questions provide the students an opportunity to practice the new skills in a controlled environment where mistakes can be corrected. In guided practice it seems prefer­able that students work no more than one question or problem at a time before getting feedback. This assures that students' errors will not go uncorrected. The guided practice continues until the students are confident and firm in their responses, at which time they are ready to begin independent practice. Throughout the guided practice — from the initial, hesitant responses to the confident and firm responses — the teacher questions allow the teacher to check for understanding, that is, the student answers tell the teacher whether the students are ready to proceed to the next step, or whether additional practice and/or reteaching is necessary. Of course, all teachers spend time in guided practice. How­ever, the more effective teachers devote more time to it. That is, they spend more time asking questions, correcting errors, repeating the new material, and working problems with teacher guidance than do the less effective teachers. The form of guided practice is modified to fit the material being taught. When a process is being taught, as in long division or multiplication with carrying, the guided practice frequently consists of problems worked under the teacher's supervision, and the teacher restating the steps as the students proceed (i.e., providing what Good & Grouws  called process feed­back). Teachers frequently have some students doing the math problems at the board, thus providing models for the entire class. When facts are being taught—as in historical facts, scientific facts, and number facts--then there is less process feedback and more questions and answers during guided practice. Four topics in guided practice are considered below: frequent practice, high percentage of correct answers, checking for understanding, and organizing and conducting practice. Both correlational and experimental studies have shown that a high frequency of teacher-directed questions and student answers are important for instruction in basic arithmetic and reading skills in the primary grades. Stallings and Kaskowitz (1974) identified a pattern of “factual question-student re­sponse-teacher feedback” as the most functional for student achievement. Similar results favoring guided practice through teacher questions were obtained by Stallings, Gory, Fairweather and Needles (1977), Stallings, Needles and Stayrook (1979), Soar (1973) and Coker, Lorentz and Coker (1980). The significant correlational results in these studies means that although all teachers asked some questions, the effective teachers asked many while the less effective teachers asked few questions. Similar results on the importance of a high frequency of questions have been obtained in mathematics in grades six to eight. In a correlational study of junior high school mathe­matics instruction (Evertson, Anderson, Anderson & Brophy, 1980a) the most effective teachers asked an average of 24 questions during the 50-minute mathematics period, whereas the least effective teachers asked an average of only 8.6 ques­tions. For each group the majority of questions were factual, but the most effective teachers asked more process questions (i.e., “Explain how you got that answer”). The most effective teachers averaged six process questions per math period, whereas least effective teachers averaged only one or two. Two experimental studies (Anderson et al., 1979; Good & Grouws, 1979) used guided practice as part of the experimental treatment. In each study the teachers who received the addi­tional training were taught to follow the presentation of new material with guided practice. It consisted of questions asked by the teacher and supervised exercises. In both studies, teachers in the trained group asked more questions and had more guided practice than did the control teachers who continued their normal teaching. Also, in both studies, students in the experi­mental groups had higher achievement than the students of teachers in the control groups. The critical variable appears to be a high percentage of student responses. Beck (1978) found a positive correlation between the number of times a word appeared in a reading program for the first grade students and the speed with which the students recognized the word, indicating that the more the students practiced the word the better it was learned. Elemen­tary students need a good deal of practice and the frequency of teacher questions is one indicator that such practice is taking place. This is also important for adults. Kulik and Kulik (1979) found that students in college classes which gave weekly quizzes had final examination scores that were higher than the scores of students in classes that had only one or two quizzes during the term. Presumably, the added gain came from the additional practice associated with the weekly quizzes. This suggests that additional practice is also helpful for college students. The frequency of teacher questions is not the only important factor, because the percentage of correct student responses also plays a role in successful learning. The importance of a high percentage of rapid (“automatic”), correct responses is a rela­tively new idea resulting from recent research (Samuels, 1981). Although there are no scientific guidelines as to exactly what the percentage of correct answers should be, a reasonable recommendation at the present time (suggested by Brophy, 1980) is an 80% success rate when practicing new material. When reviewing, the success rate should be very high, perhaps 95% and student responses should be rapid, smooth and confident. How can a teacher reduce the student error rate during practice exercises? The following suggestions derive from the research presented above. 1. Break down the instruction into smaller steps. Give the students instruction and practice to mastery on each step before proceeding to the next step. 2. Provide the students with very explicit demonstrations of the skills, whenever possible. 3. Intersperse the demonstration with questions in order to maintain students' attention and to check for student understanding. 4. Provide the students with teacher-monitored practice prior to seatwork activity so that the teacher can correct errors before they become part of the students' repertoire. 5. With especially confusing material, provide precorrections by advising the students about particularly confusing areas. 6. Provide sufficient independent practice, both in length and in number of exercises, to enable students to master skills to the point of overlearning (with additional exercises for the slower students). 7. Reteach material when necessary. The research results support the value of frequent correct responses given rapidly and automatically. One of the major findings of the BTES study (Fisher et al., 1978) was that high percentage of correct answers (both during guided practice and independent practice) was positively correlated with achieve­ment gain. Similarly, Anderson et al., (1979) found that the percent of academic interactions where the student gave the correct answer was positively related (r = .49) to achievement gain. More specific information can be obtained from studies which compared the most effective and least effective class­rooms. For example, in the study by Anderson et al., 1979, the mean percentage of correct answers during reading groups was 73% in the treatment teachers' classrooms but only 66% in the control classrooms. Gerstein, Carnine, and Williams (1981) found that teachers using the Distar program who obtained high reading achievement from their students had student accuracy rates near 90% whereas those with lower class achievement had accuracy rates of less than 75%. In a correla­tional study in fourth grade the more effective math teachers had a success rate of 82% whereas the least effective had a success rate of 76% (Good & Grouws, 1977). However, this result was not replicated in a study of junior high school math (Evertson et al., 1980a). Therefore, a high frequency of correct responses for all students appears to be very important in the elementary grades. Of the variables mentioned above, there are two which seem most important. The effective programs and the effective teachers (a) teach new material in small steps so that the possibility for errors is lessened, and (b) practice until over-learning occurs (that is, they continue practice beyond the point where the children are accurate). For example, in the ECRI programs (Reid, 1980), there is daily review of new words in the stories that have been or will be read. Students repeat these words until they can say them at the rate of one per second. In the Distar program (Becker, 1977), the new words in every story are repeated by the reading group until all students are accurate and quick. In the instructions to teachers in their experimental study on primary reading groups, Anderson et al., (1979) stressed the importance of overlearning and of making sure that each student “is checked, receives feedback, and achieves mastery”. All of the above procedures, which facilitate obtaining a high success rate, can be used with any reading series. Guided student practice also includes teacher “checking for understanding”. This refers to frequent assessments of whether all the students understand either the content or skill being taught, or the steps in a process (such as two-digit multiplica­tion). This instructional function appears in the teacher training materials developed for the Missouri Mathematics Effective­ness Project (Good & Grouws, 1979) and in the manual “Organizing and Managing the Junior High Classroom” (Emmer et al., 1981). - At the end of a lecture/discussion (especially with older students) write the main points on the board and have the class meet in groups and summarize the main points to each other. The wrong way to check for understanding is to ask only a few questions, call on volunteers to hear their (usually correct) answers, and then assume that all of the class either under­stands or has now learned from hearing the volunteers' responses. Another error is to ask "are there any questions?" and, if there aren't any, assume that everybody understands. Another error (particularly with older children) is to assume that it is not necessary to check for understanding, and that simply repeating the points will be sufficient. A number of studies have provided some information on the issues of organizing and conducting practice. Topics include: random vs. ordered turns, accepting call-outs, and choral versus individual responding. turns. Such ordered turns were used when reading new words and when reading a story out loud. The authors say that ordered turns insure that all students have opportunities to practice and participate, and that they simplify group manage­ment by eliminating handwaving and other student attempts to be called on by the teacher. Anderson et al. (1982) note that although the principle of ordered turns works well in small groups, it would be inappro­priate to use this principle with whole class instruction in most situations. They suggest that when a teacher is working with a whole class it is usually more efficient to select certain students to respond to questions or to call on volunteers than to attempt systematic turns. In both studies, student call-outs were usually negatively related to achievement gain among higher achieving students. However, for the lower achieving students in these studies, call-outs were positively related to achievement. This supports Brophy and Evertson's (1976) conclusion that call-outs may be desirable with students that may be alienated or fearful of responding. However, due to the lack of other studies in this area, these results are tentative. One technique for obtaining a high frequency of responses in a minimum amount of time is through group choral response (see Becker, 1977). This technique is particularly useful when students are learning materials which need to be overlearned, such as decoding, word lists, and number facts. A research study by McKenzie (1979) provides some evi­dence of the usefulness of group response. His study showed that students in teacher-led practice had significantly higher engagement rates when there was group response than they did during individual response. McKenzie reasoned that group responding gives each student more response opportunities than are possible with individual responses. Thus group or choral responding provides a way for teachers to achieve greater student attention during guided practice, as well as more practice on the new skills for each student. Two successful programs, Distar (Becker, 1977) and ECRI (Reid, 1978-1982), make extensive use of choral responding in primary grade reading groups. In these programs, choral re­sponses are initiated by a specific signal from the teacher so that the entire group will respond at the same time (much like a conductor and an orchestra). There is a danger that the slower students may delay their responses a fraction of a second and thus echo the faster students or not respond at all if the teacher does not instruct the class in how to respond in unison. Thus, choral responses without a signal and without a unified re­sponse have been associated with lower student achievement gain (Brophy & Evertson, 1976). Becker (1977) argued that choral responding to a signal (a) allows the teacher to monitor the learning of all students effectively and quickly; (b) allows the teacher to correct the entire group when an error is made, thereby diminishing the potential embarrassment of the individual students who make them; and (c) makes the drill more like a game because of the whole group participation. The Oregon Direct Instruction Model suggests that teachers use a mixture of both choral responses and individual turns during the guided practice phase, with choral responding occurring about 70% of the time. The individual turns allow for testing of specific children. If the slower children in the group are “firm” (i.e., respond quickly and confidently) when questioned individually, the teacher moves the lesson forward; however, if they remain slow and hesitant during individual turns, this is a signal that the children need more practice. In this case it would also be argued that because the hesitant children are in a small group with others of the same ability, it is likely that the other children in the group could also benefit from the additional practice. Group responding, in unison and to a signal, is also used successfully in the ECR1 program. In ECRI it is used for learning new words and for reviewing lists of up to 100 old words. With this training, students learn to read the list of new words at a speed of one word per second. Choral responding works best in small groups—where the teacher can monitor the responses of individual students. Monitoring is also facilitated by seating slower students close to the teacher. In primary grade mathematics, for example, choral responses can also be used with the whole class to review number facts such as multiplication tables. In short, choral responses can be an effective way to conduct guided practice. Another major teaching function involves responding to stu­dent answers and correcting student errors. During guided practice, checking for understanding, and review, how should a teacher respond to student answers? When a student response is correct, quick, and firm (usually occurring in the later stages of initial learning or in a review), then the research suggests that the teacher should simply ask a new question, thereby maintaining the momentum of the practice. There is also value in short statements of acknowl­edgement (c.g., “right”) which do not disturb the momentum of the lesson. This often occurs during the initial stages of learning, that is, during guided practice, checking for understanding, or during a review of relatively new material. If students are correct but unsure of themselves, it is suggested that teachers provide short statements of feedback such as “correct” or “very good”. It is also suggested that the teacher provide moderate amounts of process feedback, that is, re-explain the steps used to arrive at the correct answer (Anderson et al., 1979; Good & Grouws, 1979). Such feedback may not only help the student who is still learning the steps in the process, but may also help others who need this information to understand why the answer was correct. When a student makes a careless error during review, drill, or reading, teachers should simply correct the student and move on. Generally, the most effective approach during teacher-led prac­tice is to try to guide the student to the correct answer by using hints, prompts or simpler questions. However, this is useful only when these individual contacts remain brief (e.g., 30 seconds or less). Contacts of longer duration are detrimental because the teacher loses the attention of the rest of the students. If a student cannot be guided to the correct answer through a brief contact, it is necessary to reteach the material to that student. Usually this reteaching occurs while the rest of the class is doing independent seatwork, or at some other time of the day (e.g., during recess, art, group activities or before or after school). Both of these approaches to error correction — that is, prompting and reteaching — have been used successfully in experimental research and in effective instructional programs. Asking simpler questions or giving hints or prompts were successful when the contacts were brief in duration (Anderson et al., 1979; Stallings & Kaskowitz, 1974). Reteaching the material to the students who made errors is recommended by a number of programs (Becker, 1977; Good & Grouws, 1979; Reid, 1980). Good and Grouws (1979) instruct teachers to reteach when the error rate is high during a lesson. Reteaching, particularly during the initial stages of learning new material, is recommended by Becker (1977) and by Reid (1980). Each of these programs provide specific correction procedures for the student to use. The Distar program specifics not only correction procedures but also additional teaching to strengthen the student in any area of weakness. When students are being instructed in ability groups (such as small groups in reading) and one or more students are making errors, it is usually beneficial to reteach the entire group (Becker, 1977; Reid, 1980). Since the students in the group are of similar ability, it is very likely that many of them are having similar difficulties. Thus a re-explanation of the material to the entire ability group will be useful to all of the students in the group. When the initial presentation is given to the whole class, correcting errors by reteaching is more problematic. In most cases only a small portion of the students need reteaching, but finding the time for it and managing the other students during this remedial instruction is a problem. One method used by teachers is to reteach the entire lesson to students needing it during independent seatwork (Arlin & Webster, 1983). How­ever, these students still need to engage in independent practice because it supplies the necessary repetitions to enable them to master the material. Another alternative is to provide remedial instruction to slower students (or students who have been absent) during recess, lunch, art, music, physical education, or before or after school. While these options may be useful on a short-term basis, they may not be satisfactory on a daily basis. Another option for correcting errors that occur during whole class instruction is through peer tutoring (or reteaching within teams, Slavin, 1981). In this case faster students are selected as tutors and re-explain the material to students who have been making errors. Observations in Mastery Learning classrooms have recorded evidence of the usefulness of this technique (Arlin & Webster, 1983). Not only do the slower students get the reteaching they need, but the tutors also get useful practice explaining the process or skills in their own words (Webb, 1980). However, these peer tutoring techniques are probably most effective with older students, and primary grade teachers usually are faced with the problem of finding time to reteach the material to the slower students themselves. In summary, whether one uses hints, prompts, or reteaching the material, the important point is that errors should not go uncorrected. In most cases, if a student makes an error, it is inappropriate to simply give the student the answer and then move on. It is also important that errors be detected and corrected early in a teaching sequence. If early errors are uncorrected they can become extremely difficult to correct later and systematic errors (or misrules) can interfere with sub­sequent learning. In their review on effective college teaching, Kulik and Kulik (1979) found that instruction was more effective when (a) students received immediate feedback on their examinations, and (b) students had to do further study and take another test when their quiz scores did not reach a set criterion. Both points seem relevant to this discussion: students learn better with feedback given as immediately as possible; and errors should be corrected before they become systematic. Once students are exhibiting some proficiency on the new concepts or skills (as observed in correct responses at least 80% of the time in guided practice), they are ready to begin practicing on their own. Independent practice gives the stu­dents the repetitions they need to (a) integrate the new informa­tion or skills with previous knowledge or skills, and (b) become automatic in their use of the skills. What is merely demon­strated is likely to be forgotten if the student doesn't have the opportunity to practice overlearning. This independent activity should give the students enough practice that they become firm in their understanding and use of the new concepts or skills. During independent practice the students usually go through two stages: unitization and automaticity (Samuels, 1981). Dur­ing unitization the students are putting the skills together. They make few errors, but they are also slow and require a lot of energy to complete the task. After a good deal of practice, students reach the “automatic” stage where they are successful and rapid, and no longer have to “think through” each step. For example, when students are learning two-digit multiplica­tion, they are in the unitization phase when they are hesitantly working the first few problems. When they have worked a sufficient number of problems correctly, and are confident, firm, and automatic in the skill, they are in the automaticity phase. The students' responses become more automatic because they have practiced the skills to the point of overlearning. The important part of independent practice is that the students get enough successful practice to ensure overlearning which can be observed when their responses are automatic (i.e., quick and firm). Overlearning is particularly important for hierarchical materials such as mathematics and elementary reading. Unless there is overlearning to the point of automati­city, it is unlikely that the material will be retained (Brophy, 1980). Furthermore, hierarchical material requires the applica­tion of previously learned skills to subsequent new skills. The advantage of automaticity is that students who master the material can then concentrate their attention on learning new skills or applying the skills to new situations. For example, automaticity of decoding skills frees the students' attention for comprehension, just as automaticity of computation frees the students' attention for mathematical problem solving. The most common context in which independent practice takes place is in individual seatwork. Students in grades one through seven spend more time working alone on seatwork than on any other activity (approximately 50 to 75% of their time) (Evertson et al., 1980a; Fisher et al., 1978; Stallings et al., 1977; Stallings & Kaskowitz, 1974). However, students are less engaged during seatwork than when they are in groups receiving instruction from the teacher. Therefore, it is important for teachers to learn how to maintain student engagement during seatwork. There is ample support for these instructional procedures, both in research and in successful programs. Evertson et al. (1980b) found that teachers in junior high mathematics whose classes were more engaged during the seatwork prepared students for it during demonstration and guided practice. The most effective teachers spent 24 minutes (in a 50-minute period) in demonstration and guided practice, whereas the least effec­tive teachers spent only 10 minutes on these same activities. Similarly, Fisher et al. (1978) found that teachers who had more questions and answers during group work had more engage­ment during seatwork. That is, another way to increase engage­ment during seatwork is to have more teacher-led practice during group work so that the students can be more successful during seatwork. Successful teachers also had the students work as a group on the first few seatwork problems before releasing them for individual seatwork (Anderson et al., 1979). The guided practice of Hunter and Russell (1981) and of Good and Grouws (1979) are additional examples of the importance of teacher-led guided practice before seatwork. Another finding by Fisher et al. (1978) was that when teachers had to give a good deal of explanation during seatwork, student error rates were higher. Having to re-explain to many students during seatwork suggests that the initial explan­ation was not sufficient or that there was not sufficient practice and corrections before seatwork began. The students were not adequately prepared to work on their own. Evertson et al. 's (1980b) finding that long contacts during seatwork were nega­tively related to achievement suggests a replication of this negative correlation. Another effective procedure for better preparing students for seatwork activity, and hence for improving their engagement during seatwork, is to break the instruction into smaller segments and have two or three segments of instruction and seatwork during a single period. In this way, the teacher provides an explanation (as in two-digit multiplication), then supervises and helps the students as they work a problem, then provides an explanation of the next step, and then supervises the students as they work the next problem. This procedure seems particularly effective for difficult material and/or slower students. This practice was advocated in the manual for teachers in the successful Junior High School Management Study (Emmer et al., 1982) and characterized successful teachers of lower achieving students in junior high math classes (Evertson, 1982). - The teacher circulates among the students during seatwork, providing feedback, asking questions, and giving short explanations. - When the teacher is instructing a small group and the rest of the class is working on seatwork, the teacher arranges the seats so s/he can face both the small group and the students working independently. - The teacher establishes a set routine to be used during all seatwork activities which prescribes what students will do during seatwork, how they will get extra help when needed, and what they will do upon completion of the seatwork activity. Fisher et al. (1978) found that when students have contacts with the teacher (or another adult) during seatwork their engagement rate increases by about 10%. Teachers moving around and interacting with students during seatwork is also an illustration of the “active teaching” which was successful in the experimental study of Good and Grouws (1979). The advan­tage of a teacher circulating and monitoring during seatwork led Good and Grouws (1979) to advocate teaching the class as a whole for fourth to eighth grade math. Such whole class teaching permits the teacher to actively circulate and interact with all students during seatwork. How long should these contacts be? The research suggests that they should be relatively short, averaging 30 seconds or less (Evertson et al., 1980b; Scott & Bushell, 1974). Longer contacts appear to pose two difficulties: (a) the need for a long contact suggests that the initial explanation was not clearly understood, and (b) the more time a teacher spends with one student, the less time there is to monitor and help other students. In elementary grades the teacher frequently instructs stu­dents in an ability group (e.g., reading groups) while the rest of the students are doing independent seatwork. The most effec­tive way for teachers to monitor the seatwork activity during small group instruction is to arrange the seats so they can monitor both groups at the same time (Brophy & Evertson, 1976). In this way the students in the small group have their backs to the other students, and thus are not distracted. The teacher can also monitor the independently working students with periodic glances, thus improving students' engagement during seatwork. - Students who have completed the exercises are to turn them in and work on other assignments or do free reading or enrichment exercises. - Students are to check their exercises with prearranged “buddies”. - Students who need help are to approach the teacher be­tween, not during, small-group activities. - Students who need help may quietly ask preassigned peer tutors. Teachers should instruct students in the various aspects of these seatwork routines at the beginning of the year, and see that they are followed throughout the year. The advantage of such routines is that they can minimize the need for teacher monitor­ing of the seatwork activity while they are engaged in small group instruction. In summary, successful independent practice requires both adequate preparation of the students, and effective teacher management of the activity. Neither preparation nor manage­ment alone is sufficient. As explained previously, the goal of independent practice is to provide practice to the point of overlearning and automaticity. Seatwork is the usual setting in which this function occurs, but there are three other ways in which independent practice can take place: teacher-led practice, independent practice with a routine of specific procedures, and student cooperative practice in groups. In the elementary grades, independent practice is often teacher-led. For example, if a teacher is leading a review of word lists, letter sounds, or number facts this activity can be called independent practice if the children are at a high success level and do not require prompts from the teacher. In her study of successful teachers of lower achieving, junior high English classes, Evertson (1982) found that the teacher who had the highest engagement rate did not have long seatwork activities. Instead, the teacher used short presenta­tions followed by long periods of repeated questions where the participation of all students was expected, the questions were narrow and direct, and there was a high degree of student success. This teacher led practice provided the practice to mastery that the students needed. - Answer comprehension questions on the story. During independent study students proceed through a checklist of tasks relevant to these skills. They use a stop watch or the clock to time themselves. When they are ready, students give a spelling test to each other, check each other for accuracy and speed of the word list, and/or check each other for accuracy and speed on the reading selection. There are noteworthy advantages to these ECRI procedures. First, this series of tasks can be readily followed by the students, because they are repeated with each story. Therefore, the teacher is not faced with the typical problem of having to prepare students for a different kind of worksheet each day. Second, the tasks are designed to insure that all students receive sufficient practice and obtain automaticity. Third, the student interaction provides a social dimension to this task, for it allows a student to get help from another student, and yet, keeps them focused on the academic task. Many of these ECRI procedures could be incorporated into existing programs. In particular, teachers might consider using the repeated reading until the students are reading rapidly and the student cooperative work. Researchers have also developed procedures for students to help each other during seatwork (Johnson & Johnson, 1975; Sharan, 1980; Slavin, 1980a, 1980b, 1981). In some cases the students in the groups prepare a common product, such as the answer to a drill sheet (Johnson & Johnson, 1975), and in other situations the students study cooperatively in order to prepare for competition which takes place after the seatwork (Slavin, 1980a). Research using these procedures usually shows that students who do seatwork under these conditions achieve more than students who are in regular settings. Observational data indicates that students are also more engaged in these settings than are similar students in conventional settings (Johnson & Johnson, in press; Slavin, 1978, 1980b; Zeigler, 1981). Presuma­bly, the advantages of these cooperative settings come from the social value of working in groups, and the cognitive value gained from explaining the material to someone and/or having the material explained to you. Another advantage of the common worksheet and the competition is that they keep the group focused on the academic task and diminish the possibi­lity that there will be social conversation. 1. Give clear instruction—explanations, questions, and feed­back—and sufficient practice before the students begin their seatwork. Having to provide lengthy explanations during seatwork is troublesome for the teacher and for the student. 2. Circulate during seatwork, actively explaining, observing, asking questions, and giving feedback. 3. Have short contacts with individual students (i.e., 30 seconds or less). 4. For difficult material in whole class instruction, have a number of segments of instruction and seatwork during a single period. 5. Arrange seats to facilitate monitoring the students (e.g., face both small group and independently working students). 6. Establish a routine to use during seatwork activity which prescribes what students will do, how they will get help and what they will do when they have completed the exercises. 3. Procedures for cooperation within groups and competition between groups during seatwork. The learning of new material is also enhanced by weekly and monthly reviews. Many of the recent instructional programs include periodic reviews and also provide for reteaching in areas in which the students are weak. In the Missouri Math Study (Good & Grouws, 1979) teachers were asked to review the previous week's work every Monday, and to conduct a monthly review every fourth Monday. The review provides additional teacher checking for student understanding, insures that the necessary prior skills are adequately learned, and is also a check on the teacher's pace. Good and Grouws recom­mend that the teacher proceed at a fairly rapid pace (to increase student interest). They also suggest that if a teacher is going too fast, it will be apparent in the weekly review, because students will make many errors. Periodic reviews and recycling of instruction when there are student errors have been part of the Distar program since 1968. Extensive review is also built into the ECR1 program in that slower students are reviewing new words for three weeks before they encounter the words in a story in their reader. This kind of massed learning followed by spaced reviews is also part of Hunter's program on increasing teaching effectiveness (Hunter & Russell, 1981). Many of the programs cited on the first page also contain suggestions for managing transitions between activities, setting rules and consequences, alerting students during independent work and holding them accountable, giving students routines to follow when they need help but the teacher is busy, and other management functions. The developers of these programs understand that instruc­tion cannot be effective if the students are not well managed. However, that topic is beyond the scope of this paper. For a more detailed discussion see Brophy (1983). This chapter has discussed a number of teaching functions: review of previous learning; demonstration of new materials; guided practice and checking for understanding; feedback and corrections; independent practice; and periodic review. While writing this chapter, we were impressed with the fact that many different people, working independently, came up with fairly similar solutions to the problems involved in effective class­room instruction. The fact that independent researchers have reached similar conclusions and have collected student achievement data which supports their positions serves to validate each individual research study. One advantage of this chapter is that it provides a general overview of the major functions of systematic teaching. What is missing, however, is the specific detail which is contained in the training manuals and materials developed by each of the investigators. We would hope that all teachers and teachers' trainers have a chance to study and discuss those training manuals. The functions identified and explained in this paper are quite similar to those used by the most effective teachers. Most teachers already perform some of them, but the specific pro­grams elaborate on how to perform all of these functions and provide more routines, procedures, and modifications than an individual teacher working alone could have developed. These programs make teachers aware of the six instructional func­tions, bring the set of skills to a conscious level, and enable teachers to develop strategies for consistent, systematic imple­mentation (Bennett, 1982). We have just begun to explore this issue of the variety of ways of meeting each function, and at present no conclusions can be drawn regarding their relative merit. It may be that each function can be met three ways: by the teacher, by a student working with other students, and by a student working alone — using written materials or a computer. Right now, however, not all functions can be met in all three ways — and we are limited in our choices by the constraints of working with 25 students in a classroom, the age and maturity of the students, the lack of efficient “courseware” for the student to use when working alone, and the lack of imaginative routines which will keep students on task and diminish the time lost when they move from activity to activity. For example, although the idea of students working together during independent practice al­ways existed “in theory”, such working together was also associated with off task behavior and socializing. We needed the routines developed by Slavin (1981), Johnson and Johnson (1975) and Reid (1981) before we could be confident that students would work together during independent practice and still be on task. Similarly, although “checking for understand­ing” could “theoretically” be handled by students working with materials or by students working with other students, at present we do not have effective routines for enabling this to happen in the elementary grades. In conclusion, now that we can list the major functions or components which are necessary for systematic instruction, we can turn to exploring different ways in which these functions can be effectively fulfilled. Anderson, L. M., Evertson, C. M., & Brophy, J. E. (1979). An experimental study of effective teaching in first-grade reading groups. The Elementary School Journal, 79, 193-222. Anderson, L. M., Evertson, C. M., & Brophy, J. E. (1982). Principles of small group instruction in elementary reading. East Lansing, Mich.: Institute for Research on Teaching, Michigan State University. Arlin, M., & Webster, J. (1983). Time costs of mastery learning. Journal of Educational Psychology, 75, 187-195. Beck, I. L. (1978). Instructional ingredients for the development of beginning reading competence. Pittsburgh, PA: Learning Research and Development Center, University of Pittsburgh. Becker, W. C. (1977). Teaching reading and language to the disadvan­taged - What we have learned from field research. Harvard Educa­tional Review, 47, 518-543. Berliner, D. (1982). 82 Issue: Should teachers be expected to learn and use direct instruction? A.S.C.D. Update, 24, 5. Brophy, J. (1983). Classroom organization and management. Elemen­tary School Journal, S3, 265-286. Brophy, J. (1981). Teacher praise: A functional analysis. Review of Educational Research, 51, 5-32. Brophy, J. (1980). Recent research on teaching. East Lansing, Mich.: Institute for Research on Teaching, Michigan State University. Brophy, J. (1982). Successful teaching strategies Tor the inner-city child. Phi Delta Kappa, 63, 527-530. Brophy, J., & Evertson, C. (1976). Learning from teaching: A develop­mental perspective. Boston: Allyn & Bacon. Carnine, D., Kuder, J„ Salvino, M., & Moore, J. (1983). The use of generative and question asking strategies for the improvement of reading comprehension. Paper presented at American Educational Research Association annual meeting, Montreal. Coker, H., Lorentz, C. W., & Coker, J. (1980). Teacher behavior and student outcomes in the Georgia study. Paper presented to the American Educational Research Association Annual Meeting, Boston, MA. Dansereau, D., Collins, K., McDonald, B., Holley, C, Garland, J., Dickhoff, G., & Evans, S. (1979). Development and evaluation of a learning strategy training program. Journal of Educational Psycho­logy, 71, 64-73. Day, J. D. (1980). Teaching summarization skills. Unpublished doc­toral dissertation, Urbana, IL. : University of Illinois. Durkin, D. (1978-79). What classroom observation reveals about reading comprehension instruction. Reading Research Quarterly, 14, 481-533. Durkin, D. (1981). Reading comprehension instruction in five basal reading series. Reading Research Quarterly, 4, 515-544. Emmer, E., Evertson, C, Sanford, J., Clements, B., & Worsham, M. (1982). Organizing and managing the junior high classroom. Austin, TX: Research and Development Center for Teacher Education, University of Texas. Emmer, E. T., Evertson, C, Sanford, J. & Clements, B. S. (1982). Improving classroom management: An experimental study in junior high classrooms. Austin, TX: Research and Development Center for Teacher Education, University of Texas. Evertson, C. (1982). Differences in instructional activities in higher and lower achieving junior high English and mathematics classrooms. Elementary School Journal, 82, 329-351. Evertson, C, Anderson, C, Anderson, L., & Brophy, J. (1980a). Relationship between classroom behavior and student outcomes in junior high math and English classes. American Elementary Re­search Journal, 17, 43-60. Evertson, C, Emmer, E. T., & Brophy, J. E. (1980b). Predictors of effective teaching in junior high mathematics classrooms. Journal of Research in Mathematics Education, II, 167-178. Evertson, C, Emmer, E., Clements, B., Sanford, J., Worsham, M., & Williams, E. (1981). Organizing and managing the elementary school classroom. Austin, TX: Research and Development Center for Teacher Education, University of Texas. Fielding, G., Kameenui, E., & Gerstein, R. (1983). A comparison of an inquiry and a direct instruction approach to teach legal concepts and applications to secondary school students. Journal of Educa­tional Research, 76, 243-250. Fisher, C. W., Berliner, D. C, Filby, N. N., Marliave, R., Cahen, L. S., & Dishaw, M. M. (1980). Teaching behaviors, academic learning time, and student achievement: An overview. In C. Denham & A. Liebersman (Eds. ), Time to learn. Washington, D.C.: U. S. Govern­ment Printing Office. Fisher, C. W., Filby, N. N., Marliave, R., Cahon, L. S., Dishaw, M. M., Moore, J. E., & Berliner, D. C. (1978). Teaching behaviors, academic learning time, and student achievement: Final report of Phase III-B, Beginning Teacher Evaluation Study. San Francisco, Far West Educational Laboratory for Educational Research and Develop­ment. Fitzpatrick, K. A. (1981). In investigation of secondary classroom material strategies for increasing student academic engaged time. Doctoral dissertation, University of Illinois at Urbana-Champaign. Fitzpatrick, K. A. (1982). The effect of a secondary classroom manage­ment training program on teacher and student behavior. Paper presented to the annual meeting of the American Educational Research Association, New York, NY. Gagné, E. D. (1985). The Cognitive Psychology of School Learning. Boston: Little Brown and Co.
Gagné, R. (1970). The conditions of learning. New York: Holt, Rinehart and Winston. Gersten, R. M., Carnine, D. W., & Williams, P. B. (1981). Measuring implementation of a structured educational model in an urban school district. Educational Evaluation and Policy Analysis, 4, 56-63. Good, T. L., & Grouws, D. A. (1977). Teaching effects: Process-product study in fourth-grade mathematics classrooms. Journal of Teacher Education, 28, 49-54. Good, T. L., & Grouws, D. A. (1979). The Missouri mathematics effectiveness project. Journal of Educational Psychology, 71, 355-362. Good, T. L., Grouws, D. A., & Ebmeier, H. (1983). Active mathematics teaching, New York: Longman. Greeno, J. (1978). Understanding and procedural knowledge in mathe­matics instruction. Educational Psychologist, 12, 262-283. Hunter, M., & Russell, D. (1981). Planning for effective instruction: Lesson Design. In Increasing your teaching effectivenesss. Palo Alto, CA: The Learning Institute. James, W. J. (1890). The Principles of Psychology. New York: Holt. Johnson, D., & Johnson R. (1975). Learning together and alone. Englewood Cliffs, N.J.: Prentice Hall. Johnson, D., & Johnson R. (in press). The integration of handicapped students into regular classrooms: Effects on cooperation and in­struction. Contemporary Educational Psychology. Kennedy, J. J., Bush, A. J., Cruickshank, D. R. & Haefele, D. (1978). Additional investigations into the nature of teacher clarity. Paper presented to the annual meeting of the American Educational Research Association, Toronto, Canada, March, 1978. (College of Education, The Ohio State University, Columbus, Ohio). Kulik, J. A., & Kulik, C. C. (1979). College teaching. In P. L. Peterson & H. J. Walberg (Eds. ), Research on teaching: Concepts, findings, and implications. Berkeley, Ca. : McCutchan. LaBerge, D., & Samuels, S. J. (1974). Toward a theory of automatic information processing in reading. Cognitive Psychology, 6, 293-323. Lard, M., & Smith, L. (1979). Low inference teacher clarity variables: Effects on student achievement. Paper presented at annual meeting of American Educational Research Association, San Francisco. Larkin, J. H., & Reif, F. (1976). Analysis and teaching of a general skill for studying scientific text. Journal of Educational Psychology, 68, 431-440. Linden, M., & Wittrock, M. (1981). The teaching of reading compre­hension according to the model of generative learning. Reading Research Quarterly, 17, 44-57. McKenzie, G. (1979). Effects of questions and testlike events on achievement and on-task behavior in a classroom concept learning presentation. Journal of Educational Research, 72, 348-350. Norman, D. A., & Brobow, D. G. (1975). On data-limited and resources-limited processes. Cognitive Psychology, 7, 44-64. Patchings, W., Kameenui, E., Colvin, G., & Carnine, D. (1979). An investigation of the effects of using direct instruction procedures to teach three critical reading skills to skill deficient grade 5 children. Unpublished manuscript, Eugene, Oregon: University of Oregon. Perfetti, C, & Lesgold, A. (1977). Discourse comprehension and sources of individual differences. In M. Just & P. Carpenter (Eds.) Cognitive Processes in Comprehension. Hillsdale, N.J.: Erlbaum and Associates. Raphael, T. E. (1980). The effects of metacognitive strategy awareness [raining on students' question answering behavior. Unpublished doctoral dissertation. University of Illinois, Urbana, IL. Reid, E. R. (1978-1982). The Reader Newsletter. Salt Lake City, Utah: Exemplary Center for Reading Instruction. Resnick. L. B. (1976). Task analysis in instructional design. In D. Klahr (Ed.). Cognition and instruction. New Jersey: Erlbaum and Assoc. Rosenshine, B., & Stevens, R. (1984). Classroom instruction in reading. In P. D. Pearson (Ed. ), Recent research on reading. New York: Longman. Samuels, S. J. (1981). Some essentials of decoding. Exceptional Educa­tion Quarterly, 2, 11-25. Scott, J., & Bushell, D. Jr. (1974). The length of teacher contacts and students' off task behavior. Journal of Applied Behavior Analysis, 7, 39 44. Sharan, S. (1980). Cooperative learning in small groups. Review of Educational Research. 50, 241-271. Singer, H., & Donlon, D. (1982). Active comprehension: Problem-solving schema with question generation for comprehension of complex short stories. Reading Research Quarterly, 17, 116-186. Slavin. R. E. (1978). Student teams and comparisons among equals: Effects on academic performance. Journal of Educational Psycho­logy, 70, 532-538. Slavin, R. E. (1980a). Cooperative learning. Review of Educational Research, 50, 317-343. Slavin, R. E. (1980b) Effects on student teams and peer tutoring on academic achievement and time on task. Journal of Experimental Education, 48, 252-257. Slavin, R. E. (1981). Student team learning. Elementary School Journal, 82, 5-17. Slavin, R., Leavey, M., & Madden, N. (1982). Combining cooperative learning and individualized instruction: Effects on student mathe­matics ach., att. and behaviors. Baltimore, Md: Center for Social Organization of Schools, Johns Hopkins University. Soar, R. S. (1973). Follow-through classroom process measurement and pupil growth (1970-71); Final report. Gainesville: College of Educa­tion, University of Florida. Spiro, R. J. (1981). Cognitive processes in prose comprehension and recall. In R. Spiro, B. Bruce, and W. Brewer (cds.) Theoretical issues in reading comprehension. Hillsdale, N.J.: Lawrence Erlbaum and Associates. Stallings, J. A., & Kaskowitz, D. (1974). Follow through classroom observation evaluation, 1972-73. Menlo Park, CA: Stanford Re­search Institute. Stallings, J., Gory, R., Fairweather, J., & Needles, M. (1977). Early childhood education classroom evaluation. Menlo Park, CA: SRI International. Stallings, J., Needles, M, & Stayrook, N. (1979). How to change the process of leaching basic reading skills in secondary schools. Menlo Park, CA: SRI International. War Manpower Commission. (1945). The training within industry report. Washington, D.C.: Bureau of Training. Webb, N. (1980). A process-outcome analysis of learning in group and individual settings. Educational Psychologist, 15, 69-83. Zeigler, S. (1981). The effectiveness of classroom learning teams for increasing cross ethnic friendship: Additional evidence. Human Organization, 40, 264-268.